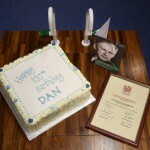 Staff and students, past and present, from the School of Chemistry gathered together recently to celebrate the 100th birthday — and the remarkable life and career — of Professor Dan Eley. 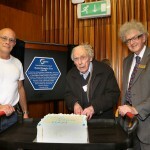 The special celebration featured the unveiling of a Royal Society of Chemistry Chemical Landmark blue plaque, a programme of talks and a presentation to Professor Eley of a commemorative certificate marking the 50th anniversary of his election to the Royal Society. 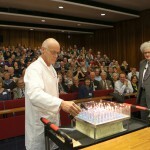 No party would be complete without a birthday cake, on this occasion spectacularly topped with 100 candles lit by technician Neil Barnes, who joined the School of Chemistry in 1977 and worked with Professor Eley for three years before his retirement in 1980. 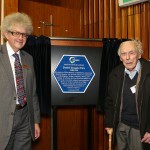 Professor Martyn Poliakoff is one of the few remaining members of staff in the University’s School of Chemistry to have been lucky enough to work with Professor Eley during his 20-year career at Nottingham. Professor Eley studied at Manchester University during the 1930s before doing a PhD at Cambridge University from 1938 to 1945, where he also lectured. 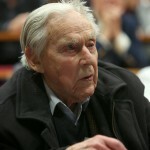 His time at Cambridge coincided with World War II, during which Professor Eley carried out extramural research on explosives problems for the Ministry of Supply and served in the Home Guard. His hair-raising anecdotes of his wartime service later enthralled generations of students. 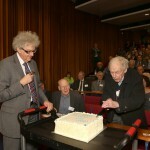 After the war, he took up a lectureship at Bristol University where he was later promoted to Reader before his appointment as Professor of Physical Chemistry brought him to Nottingham in 1954. He and his family have lived in Beeston ever since. 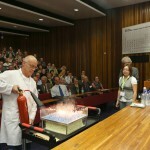 During the course of his career, Professor Eley’s work continued to push the boundaries of our understanding of Chemistry across its three main branches — physical, organic and inorganic. At Cambridge he worked with the famous chemist Sir Eric Rideal studying catalysts, particularly the reaction between hydrogen and compounds containing carbon-carbon double bonds, which are industrially-important. Professor Eley’s experiments led to the discovery of the Eley-Rideal mechanism for this reaction which chemists still quote to this day. 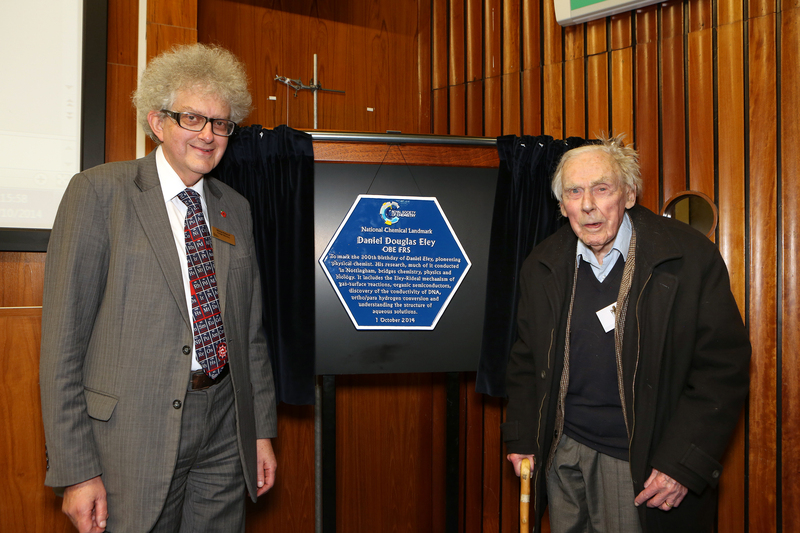 He tutored Rosalind Franklin, who later became famous as the ‘dark lady of DNA.’ Professor Eley’s own work on DNA led to him showing for the first time that molecules of DNA could conduct electricity, a property that is important in understanding how DNA can be damaged. His students later became the first to demonstrate that carbon compounds can act as semi-conductors, a scientific breakthrough which eventually led to the colour displays on many of the latest smartphones. 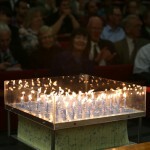 His pioneering work was recognised by his election to the Royal Society in 1964, the highest honour for a UK scientist.